Fakenham Makers Market in the beautiful and historic setting of Fakenham’s 14th century Parish Church in the heart of North Norfolk. It is entirely devoted to arts and crafts handmade by the stallholders and entry is free. The market is run and managed by Debbie and Keith Osborn. Debbie is a local artist and maker and Keith is a local professional photographer. The market runs throughout the year and dates have been specifically chosen to coincide as much as possible with Fakenham Farmers Market. For 2018 the dates are as following Saturdays. Each market runs from 10am to 2pm. We have live regular music and are this year delighted to have the Green Britain Centre Cafe providing our refreshments! 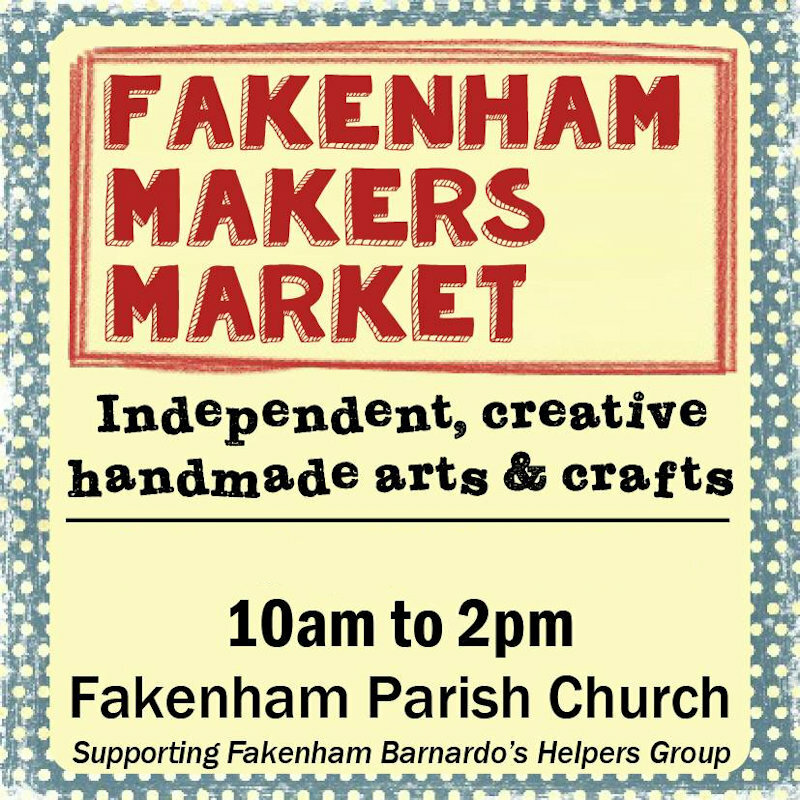 Fakenham Makers Market supports Fakenham Barnardo’s Helpers Group who have a regular free stall at each market. Fakenham Makers Market - Fakenham Makers Market in the beautiful and historic setting of Fakenham’s 14th century Parish Church in the heart of North Norfolk. It is entirely devoted to arts and crafts handmade by the stallholders and entry is free.